Gabriel Schoenfeld, Senior Fellow at the Hudson Institute, said of the airstrike:. Finkel had reported the day in his book, The Good Soldiers, including conversations which closely matched the subsequently leaked video footage. On the same day as the NPR interview, Finkel was asked how he had gotten a chance to see the unedited video and whether WikiLeaks had shown it to him. He responded, "I hadn't heard of WikiLeaks before yesterday. I based the account in my book on multiple sources, all unclassified". WikiLeaks co-founder Julian Assange said that Finkel had seen the video and that at least one individual at the offices of The Washington Post had a copy of the video for at least a year, prior to its release by WikiLeaks.The Washington Post has denied having any copy of the unedited video prior to WikiLeaks release of their edited version, and Finkel (who was on book leave from The Washington Post at the time) has said that he has never made any statement about his sources for the story, except that it was "sourced ... from unclassified information and my presence in the area that day". 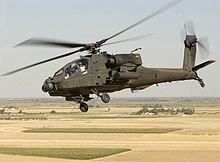 In May 2010, a 22-year-old American Army intelligence analyst, Chelsea Manning (then known as Bradley Manning), was arrested after telling hacker Adrian Lamo he had leaked the airstrike video, along with a video of another airstrike and around 260,000 diplomatic cables, to WikiLeaks. The Internet chats between Manning and Lamo were revealed to the public by Wired. On February 28, 2013, Manning pleaded guilty to 10 of 22 specified charges. His trial on the remaining charges began on June 3, 2013. 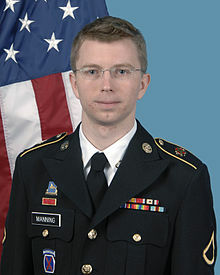 On July 30, Manning was acquitted of the most serious charge, that of aiding the enemy, for giving secrets to WikiLeaks. In addition to five or six espionage counts, she was also found guilty of five theft specifications, two computer fraud specifications and multiple military infractions. On August 21, 2013, Manning was sentenced to 35 years' imprisonment, reduction in rank from private first class to private, forfeiture of all pay and allowances, and a dishonorable discharge. Pursuant to a commutation by President Obama, Chelsea Manning was released on May 17, 2017. Incident in New Baghdad a 2011 Oscar-nominated short documentary film about the Baghdad airstrike. Street art representation (including audio) by Banksy, October 9, 2013. Part of Banksy's Better Out Than In month-long artwork series on the streets of New York City. [Further analysis] by Mark Humphrys of the military's evidence against Wikileaks' interpretation. ^ a b c Yates, Dean. "Return to Ward 17: Making peace with lost comrades". Reuters. Retrieved 2018-06-08.